Although beekeeping has a long history in the the Northwest, it holds some unique challenges. East of the Cascade Mountain Range, our winters tend to be long, cold and windy, with high summer temperatures. West of the Cascade Mountains, temperatures are less extreme, but we endure long wet winters with little available forage until late spring. 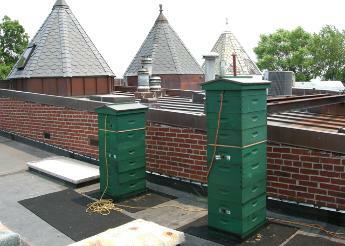 In both cases, our bees have to pack a lot of colony increase and food storage into a short period. Northwest commercial beekeepers generally take their bees south in winter to pollinate the northern California almond groves and other crops. This works out well for them. 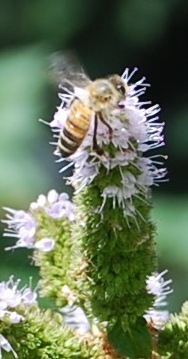 They escape winter months while earning pollination fees. But the large majority of Northwest beekeepers don't have this option, so they have to stick it out. To help their bees survive the cool spring, Northwest beekeepers often resort to supplemental feeding. West of the Cascades, we tend to experience more diseases associated with a wet cool climate, such as Chalkbrood, and Nosema Apis. Moisture build-up in winter and spring can be a significant problem, but there are ventilation techniques to reduce the moisture. In the colder eastern climate, where moisture is less of a problem, beekeepers focus on keeping their bees warm enough with wind breaks, hive wraps and other techniques. Want to keep bees, but think you can't do so within city limits? shown physical and mental benefits of reclaiming this connection. safely keep your bees-- and your neighbors -- happy. 1. Locate your bees where their flight paths are unlikely to cross sidewalks or paths your utility meter readers use. A tall fence or hedge makes an excellent barrier--once the bees fly up to that level, they usually won't come down in the immediate vicinity. 2. 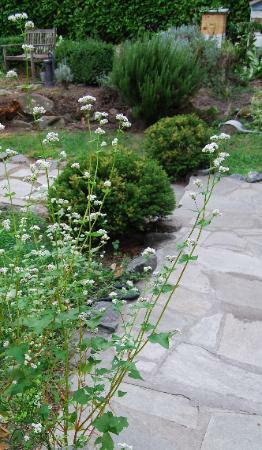 Make sure your bees are habituated to a water source within YOUR control. The biggest complaint urban beekeepers receive is that a neighbor's hot tub, decorative pond or pet water dishes are being raided by "your" bees. We recommend using an entrance feeder for water, with a pinch of sea salt in the mix. Second best, a shallow tray of gravel under a slowly dripping faucet. Get your water source in place well before hot weather hits. Once bees have becomeaccustomed to visiting a water source, it's tough to get them to change their habits. 3. No, your hives don't have to be boring white! You can paint your hives to match the color of your own home, and make your hives part of your landscape architecture. We carry quaint and very functional ventilated English-style garden hive covers, which have become a huge hit for urban beekeepers...and a great device for convincing your better half to go along with your new hobby. 4. Have you learned that it's absolutely impossible to keep honey bees at your home? Consider Orchard Mason Bees.These solitary pollinators are low-maintenance, and are not known to sting.